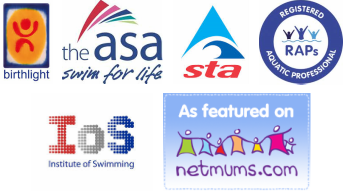 ​From 30th July we will be providing lessons at Bromsgrove Hotel and Spa To start, or continue your little ones swimming journey. or use the contact us link below. Why not book your Baby or Toddler on to one of our FREE taster session running throughout the Summer at our new pool ! We are kicking off our lessons at our newest pool with Intensive Learn To Swim Courses for children for Summer 2018! Pop over to our Facebook page for all the latest news and loads more photos! Don't take our word for it! Click on the Testimonials link to read what our customers say about our lessons.